Thanksgiving is the perfect time of year to gather on the couch and watch a good movie. While we're sitting there, moaning in pain, having eaten too much yet again, and thinking about how miserable it was to travel, and how crazy our family members are, these 10 movies are a reminder that we're not alone in the world. And, indeed, despite everything, there are many, many wonderful things about this time of year, and plenty of things to be thankful for. Like Netflix. The first The Addams Family (1991) was a little too formulaic to really work, but the sequel, blessed with a witty screenplay by playwright/essayist Paul Rudnick, is much funnier and closer to the spirit of the twisted Charles Addams cartoons. 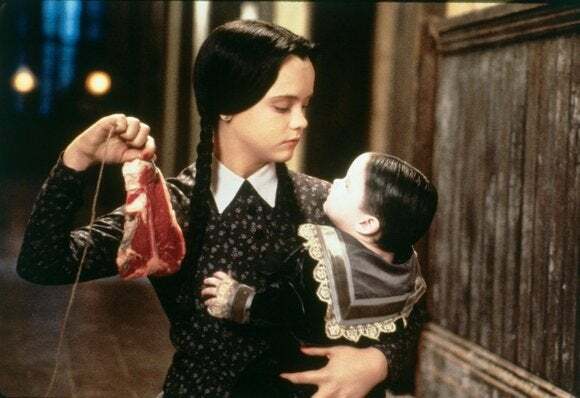 Directed by Barry Sonnenfeld with a fluid, lively touch, Addams Family Values (1993) is screwy, but also unafraid to go dark. Joan Cusack plays a murderous nanny who is hired to look after a new baby, and Uncle Fester (Christopher Lloyd) falls in love with her. Meanwhile, Wednesday (Christina Ricci) is sent to a summer camp, where she is forced to perform in a play about the Pilgrims, and subsequently steals the movie. Note: in both this and The Ice Storm (see below) Ricci makes decidedly un-festive, but very funny, Thanksgiving speeches. 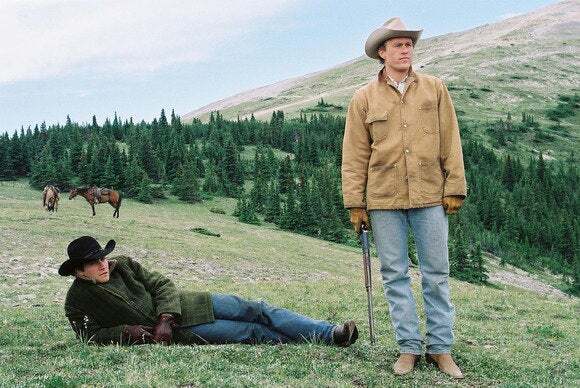 Ang Lee's Oscar-winning "gay Western" Brokeback Mountain (2005) quickly stole the hearts of critics and viewers during its time, and it seems to have endured. Lee's simple, beautiful direction subtly illustrates the passionate beginnings, and tragic downfall, of a forbidden love affair. Heath Ledger's remarkable, tightly guarded performance rather overshadows Jake Gyllenhaal's, and several subplots seem unnecessary and drag the movie on far too long, but the emotional impact is undeniable. At Thanksgiving, Ennis (Ledger) awkwardly tells a rodeo story while an electric knife saws through the turkey meat, while Jack (Gyllenhaal) fights with his father-in-law over whether the television should be on during the meal. Both scenes nicely illustrate a feeling of both men feeling out-of-place and alone among their legitimate families. Note: this is a leftover from last year, but still tasty! Austrian director Stefan Ruzowitzky won an Oscar for his Holocaust drama The Counterfeiters, but Deadfall (2012) is nothing like it. It's a refreshingly effective pulp drama that relies on powerful family relationships, and uses the chilly, snowy terrain to both separate characters and bring them closer together. On Thanksgiving, a brother and sister team, Addison (Eric Bana) and Liza (Olivia Wilde), escape from a successful casino heist and head into a brutal snowstorm. After an auto accident, and after Addison kills a cop, they separate and try to make a run for it through the freezing woods. Liza meets an ex-boxer, Jay (Charlie Hunnam), who has just served a prison sentence for killing a man in the ring, and tries to get herself invited to his parents' home for Thanksgiving. But more violence is in store. Sissy Spacek and Kris Kristofferson play Jay's parents, and Kate Mara is a scrappy cop tracking the villains. Free Birds (2013) starts off with an interesting idea. Reggie (voiced by Owen Wilson) is a Thanksgiving turkey pardoned by the president who enjoys his newfound freedom, ordering pizzas and watching TV at Camp David. Suddenly, a "spy" turkey, Jake (voiced by Woody Harrelson), appears and coerces him into a crazy plan. They will steal a government time machine, go back in time to the days of the pilgrims, and prevent turkey from ever being on the Thanksgiving menu. Directed by Jimmy Hayward (Horton Hears a Who!) 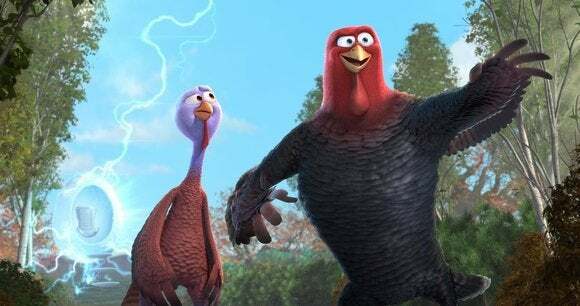 the movie doesn't go much further with its idea, and it's really only about halfway there in terms of humor or excitement, but it could be a lot worse, and it is the only Thanksgiving-themed animated feature out there. Even if it's not a holiday feast, it still provides a decent amount of festive fun. In a clever touch, George Takei provides the computer voice of the time machine. Note: this is another Thanksgiving leftover, but still worth savoring. 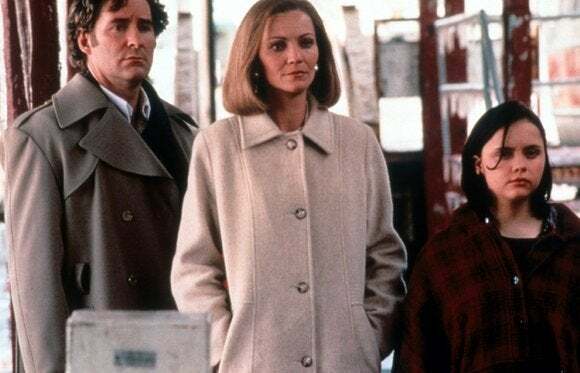 Based on a play by Wendy MacLeod, The House of Yes (1997) is set in 1983, when Marty Pascal (Josh Hamilton) brings his fianc&eacute;e Lesly (Tori Spelling) home to meet his supremely dysfunctional family on Thanksgiving. There's his odd mother (Genevieve Bujold) and his fresh-faced younger brother Anthony (Freddie Prinze Jr.), but the center of the house is Marty's twin sister Jackie (Parker Posey), who is obsessed with Jackie Kennedy as well as with her brother. Over the course of a night, a thunderstorm, and several bottles of rum, many old, dark, and twisted family secrets come out, as well as some new ones. There's not much Thanksgiving feasting here, unless you count Ms. Posey's amazing scenery chewing; she's irresistibly, dangerously kooky (she won an acting prize at Sundance). Rachael Leigh Cook plays the young Jackie in flashbacks. It was the debut feature of director Mark Waters (Mean Girls). The Taiwan-born, but decidedly international filmmaker Ang Lee has made films about mismatched partners, tortured souls, and characters displaced within their environments, searching for solace. In The Ice Storm (1997), these elements come together all in one film. Based on the novel by Rick Moody and set in 1973, in an era when husbands and wives were playing at "key parties," a typically cracked family assembles for Thanksgiving. The father (Kevin Kline) is having an affair, the mother (Joan Allen) is having a spiritual crisis, the 14-year-old daughter (Christina Ricci) likes to play sexual games, and 16-year-old son (Tobey Maguire) is sexually inexperienced but obsessed with a pretty girl at his school (Katie Holmes). Lee provides succinct dialogue readings and scenes that sum up great waves of emotions and conflict. Most striking is the ice storm of the title, wherein one of the characters finds himself in awe of, and at odds with, the beautiful, bitter landscape. Sigourney Weaver is magnificent as a woman of many affairs. 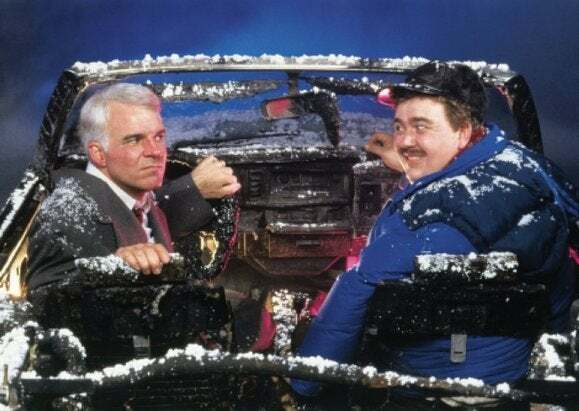 John Hughes' Planes, Trains and Automobiles (1987) could have gone wrong in so many ways, but the superb casting, and touches of intelligence and tenderness make it a much-loved classic and a holiday favorite. Steve Martin plays an uptight businessman trying to make it home for Thanksgiving when his flight is canceled. 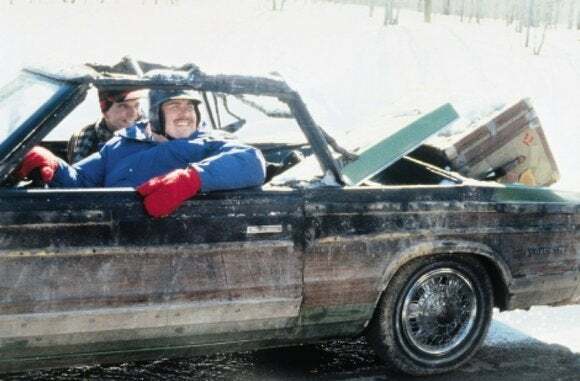 He ends up reluctantly paired with a cheerful, loudmouth shower-ring salesman (John Candy), and together they attempt a difficult, miserable, but hilarious road trip. Some of their memorable scenes ("Those aren't pillows!") have already gone down in movie history. The sweet, heartbreaking final payoff is well-earned. In one of the more embarrassing incidents in MPAA history, this sweet, innocuous movie earned an "R" rating thanks to one scene in which Steve Martin loses it, launches into a tirade, and uses the "f" word 18 times. 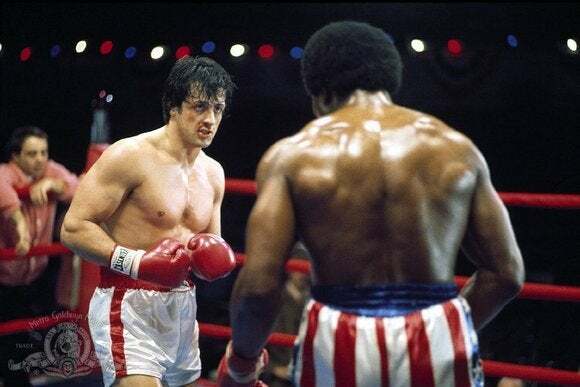 The much-loved Oscar-winning, stand-up-and-cheer Rocky (1976) made a huge star out of Sylvester Stallone. But it's also known for its behind-the-scenes legend that Stallone, on the verge of being broke, wrote the screenplay in a weekend. The Thanksgiving scene is a thwarted one; Paulie (Burt Young) brings Rocky home for the holiday dinner, where his sister Adrian (Talia Shire) is unprepared for company. The brother and sister fight. Paulie pulls her turkey out of the oven and throws it away, thereby indirectly sending Rocky and Adrian on their first date together, at an ice rink. It may not include stuffing and cranberry sauce, but it's one of the loveliest, most awkward, most tender first date scenes ever filmed. In the category of Movies We Are Thankful For, the brand new, digitally restored transfer of this legendary classic is now available. 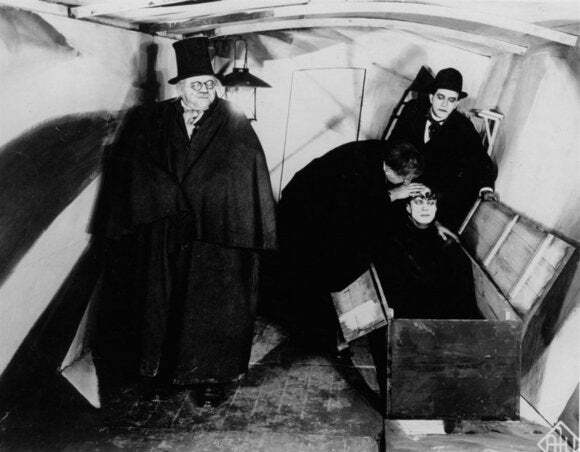 Directed by Robert Wiene, The Cabinet of Dr. Caligari (1920) is one of the unquestioned landmarks of cinema history, and still influences filmmakers today. Though realism was the prevailing method of the time, this movie introduced German Expressionism to the world, using weird, distorted perspectives and odd angles to illustrate a fluid, nightmarish quality, in which anything could happen. The style easily wins out over the murder story of a carnival performer (Werner Krauss) who uses a somnambulist (Conrad Veidt) to predict people's deaths, but a movie this startlingly effective doesn't need a great plot. A prologue and epilogue were added against Wiene's wishes to lessen the movie's overall sense of unrelenting madness. Another Movie We Are Thankful For, Thom Andersen's Los Angeles Plays Itself (2003) probably never should have seen the light of day. 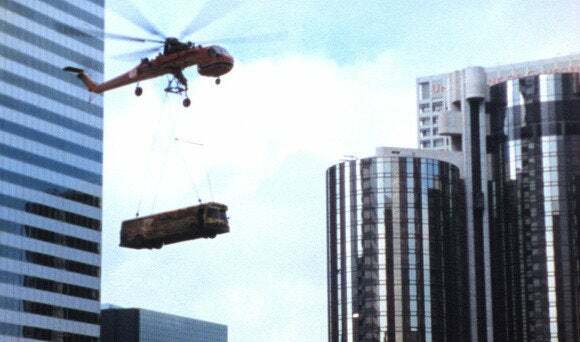 A three-hour essay film on the ways that the city of Los Angeles has been used in movies, it contains hundreds of copyrighted movie clips to illustrate its thesis. It was shown only in select art-house theaters, and was expected to disappear forever. Whatever happened that allowed it to resurface is most appreciated. Andersen uses films like Blade Runner, Who Framed Roger Rabbit, and Killer of Sheep to uncover a kind of personality in his favorite city, one that's strikingly different from New York, Paris, or San Francisco. It's a clip junkie's dream, but also one with a pulse and a brain.